This is a recipe that works equally well on the grill or in a smoker. 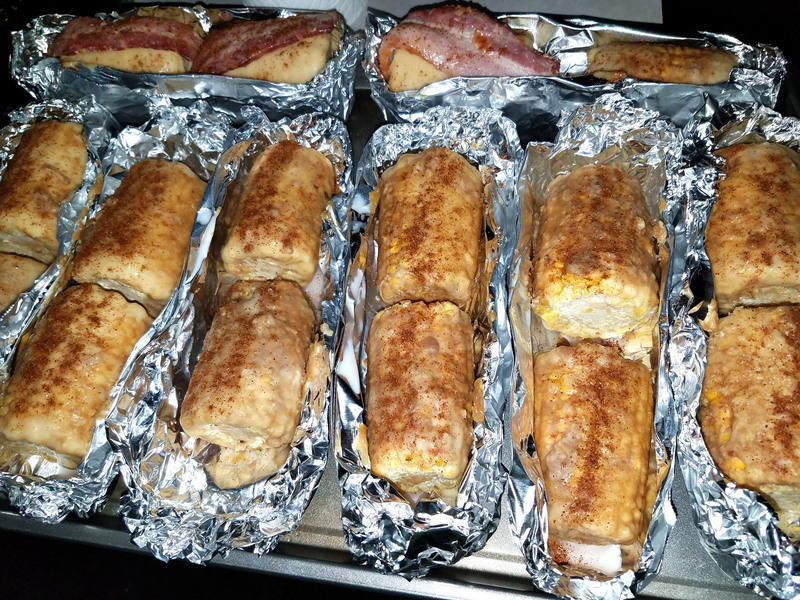 The use of an aluminum foil boat is the key to keeping the corn tender, and will protect it from over cooking. 6-12 Frozen Ears of Corn on the Cob. Chili Powder (sprinkle a little on top of each ear, after the boats are ready). At the market, look in the frozen food section and grab a bag of pre-cut frozen corn on the cob. If you want to use fresh corn, shuck it and chill it for an hour or two. Make an aluminum boat with the sides tall enough to hold the corn and allow you to nearly cover it with the beer. Add all the seasonings to the melted butter and mix well in a shallow bowl or cooking dish. 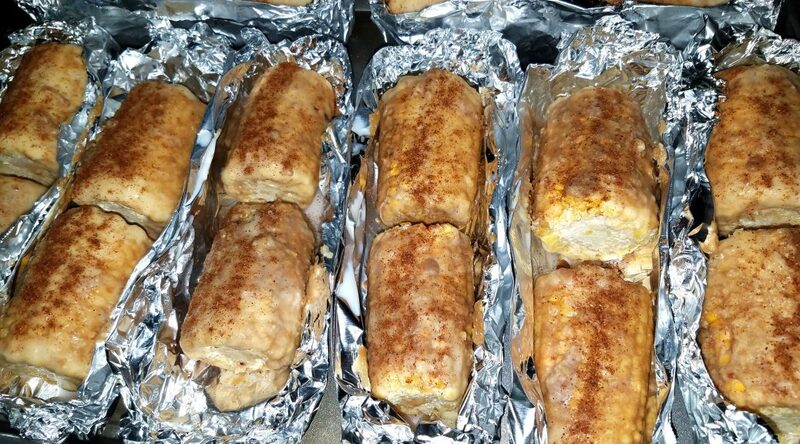 Take the frozen corn and roll it 4 to 6 times in the mixture. The frozen corn will solidify the butter and create a solid coating on each ear of corn. Place in aluminum boats. Place a strip of bacon on top of each ear. Place the corn boats on the grill. Fill each boat to the 3/4 point with beer. Be careful you don’t “wash off” the seasoning with the beer. Top with a light sprinkle of chili powder. Cook for 20-30 minutes on a hot grill, or smoke cook them for 120 minutes if using a smoker. This is a very tasty side dish. Don’t waste the juices that are created as the corn boils lightly in the boat. Indeed, pour it over the main cut or on the side, for an extra delicious sauce. Previous PostBlast from the PastNext PostWill you grill for your holiday dinner? Thank you for sharing this wonderful recipe of yours. I wish you added some mouth-watering photos here.